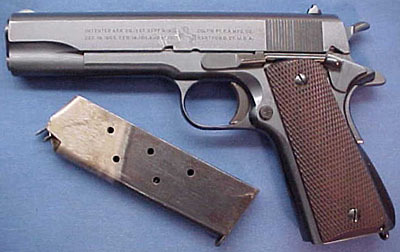 Colt M1911 "Transitional" .45 cal. 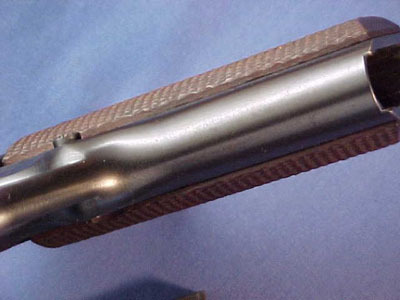 S/N 700004 - manufactured in January of 1924, it was shipped in a batch of 1000 to the Commanding Officer at Springfield Armory on January 23-1924 this is gun #4 in a run of 10,0000 total mfg. 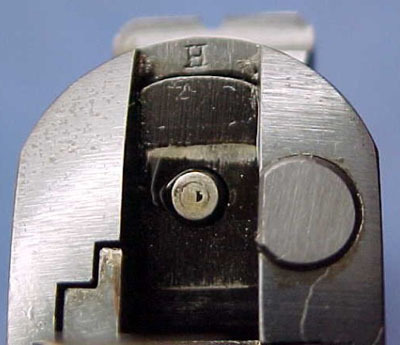 Inspector mark is WTG inside a single circle for Captain Walter T. Gordon, the Barrel is original and marked with the HP joined together, trigger guard marked 20. This is an assemblers code. 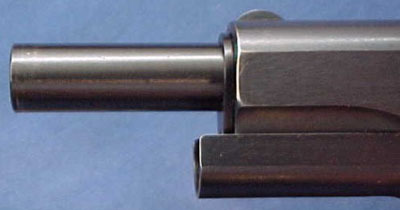 Slide is H marked above firing pin, and G marked on the bottom, and MODEL OF 1911 .U.S. 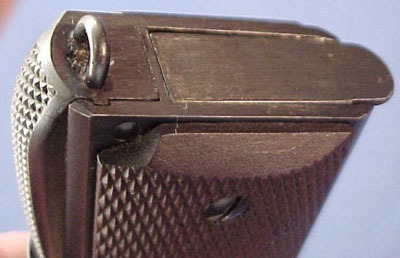 ARMY is marked on right side of slide while the left side is marked PATENTED APR.20,1897. 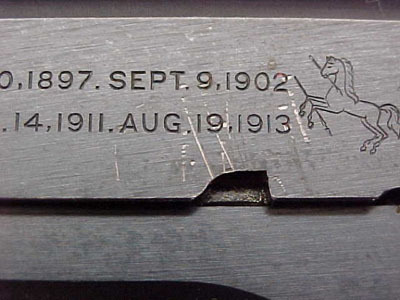 SEPT.9.1902 DEC.19,1905. 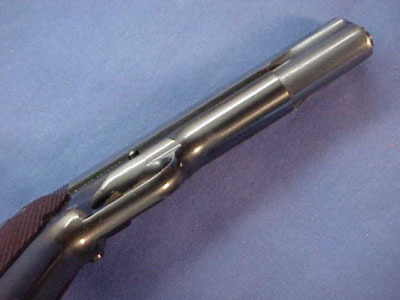 FEB.14,1911. 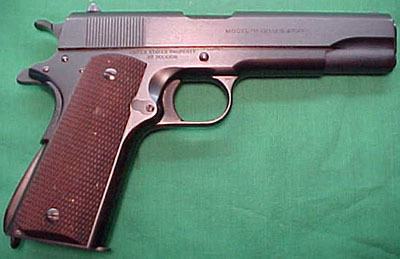 AUG.19,1913 - COLT'S PT. 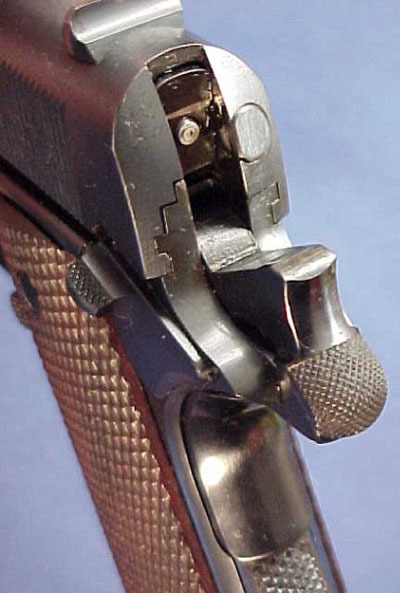 F. A. MFG. CO. HARTFORD, CT .U.S.A. 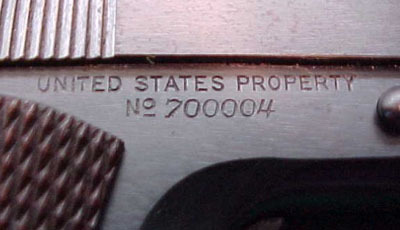 the receiver is marked on the right side UNITED STATES PROPERTY No 700004, the receiver is marked with a H and a G near the disconnect hole, the grips are original full Checkered Walnut, the Magazine is a standard two tone. 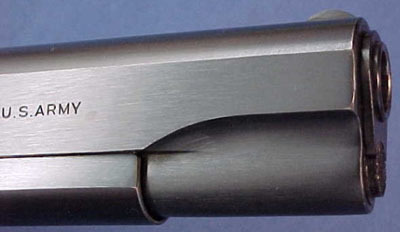 Vertical "H" on rear of the slide. 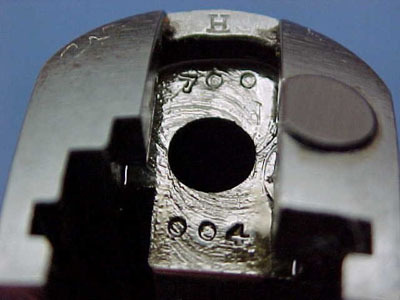 The slide has a matching serial number under the firing pin retainer. 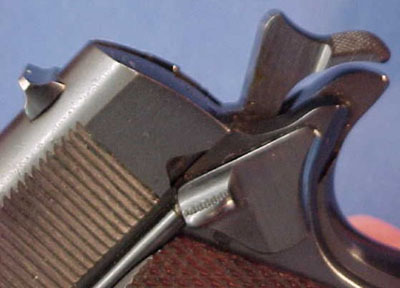 This is fairly unique as slides were not authorized to be serial numbered. Most in this production run do not have numbered slides. 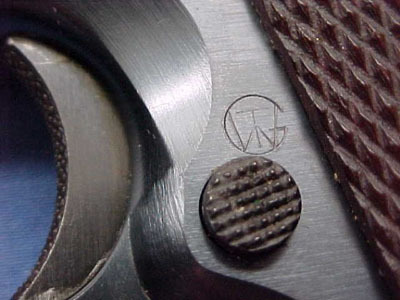 The earliest style WTG inspection mark. 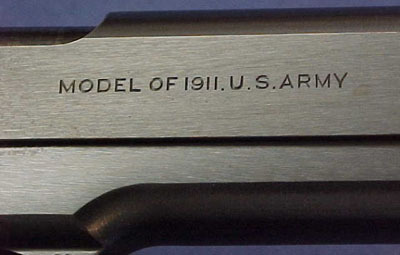 Captain Walter T. Gorton was the Army inspector of ordnance from December 5, 1921 to March 3, 1926. 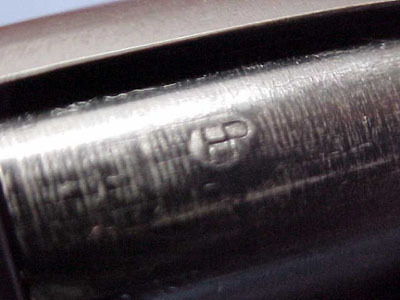 The later ordnance mark on these pistols is surrounded by an outer circle. 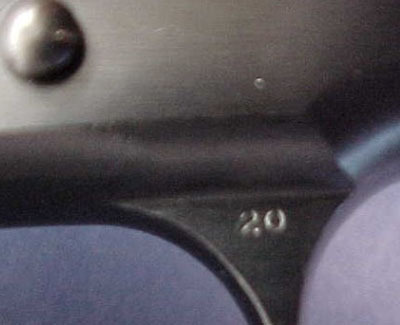 Number 20 on right trigger guard. 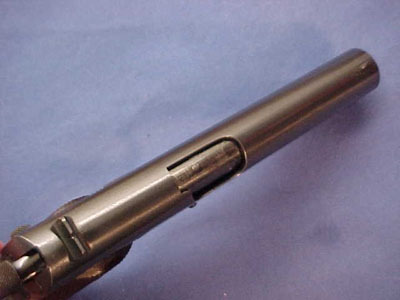 The barrel is original and marked with the HP joined together.